Excavations in Ancient Ephesus interrupted in early September 2016 by order of the Turkish Foreign Ministry are to be resumed by the Austrian Archaeological Institute. The announcement was made recently in Istanbul by the Foreign Minister Mevlüt Çavuşoğlu during a joint press conference with his new Austrian counterpart Karin Kneissl. The cancellation of excavations had been imposed at the time because of Austria’s critique regarding both the developments in Turkey following the failed coup attempt in July 2016 and the insistent demand on the part of Vienna for a cease in accession negotiations between the European Union and Ankara. 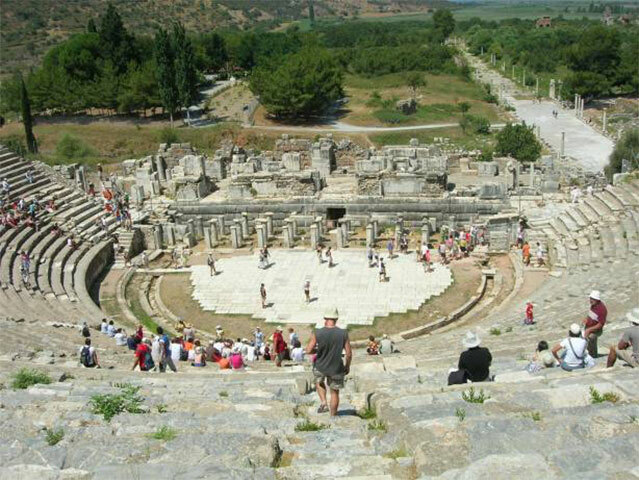 The Austrian Foreign Minister expressed her joy at the decision taken on the Turkish side, stressing that this exceeds the expectations of her visit to Turkey and that Ephesus has a symbolic character, constituting a scientific project with an economic and tourist dimension that has already united the two countries since 1895. The Turkish Foreign Ministry’s mandate on September 5, 2016 to immediately stop the Austrian Archaeological Institute’s excavations in Ephesus had led to a new escalation in the tension prevailing for weeks in Austro-Turkish relations. The Austrian Archaeological Institute has been active for over 120 years, since 1895, in the excavations at Ephesus, which belongs today to the World Cultural Heritage, and in antiquity was one of the oldest and most important Greek cities in Asia Minor, home to one of the seven wonders of the Ancient World; the Artemision, Temple of Artemis of Ephesus.